Just over a month after Anthony Joshua dispatched Carlos Takam in Wales in ten rounds, there has been talk of the WBA and IBF champion facing New Zealand’s Joseph Parker next. There is little doubt that Parker would be putting his WBO heavyweight ttile on the line. Parker, who has an unbeaten record of 24-0 with 18 KO’s, last faced Britain’s Hughie Fury who he beat on points on the challenger’s soil. That particular contest received a wealth of criticism after it was confirmed that the fight would only be shown on the world famous video website, Youtube for a fee. Although Parker got the win, there was some controversy after many observers thought that Fury had done enough to become the new champion. People found the reality of Parker v Fury being broadcast on Youtube as surreal. Now, it seems that both the Joshua and Parker camps are cooperating with one another in order to get the fight on for sometime next year. April has been mentioned as a possible month. Promoter Eddie Hearn has stated that he hopes to get the fight on within the next two weeks, while Parker’s team have suggested the Nou Camp in Barcelona as a possible venue. However Hearn will insist on staging the fight in England, thinking that location would generate more money as a motive. Before and just shortly after taking care of Carlos Takam, the hype was building up for a fight between Joshua and America’s heavyweight champion, Deontay Wilder but it seems that the WBC holder could be busy defending his crown against Dillian Whyte, who was made number one challenger since beating Robert Helenius a few weeks ago. It has been suggested that Joshua v Wilder could take place at the back end of next year. Deontay Wilder will be busy next year most likely fighting Dillian Whyte. As part of negotiations, Joseph Parker has offered Joshua a rematch clause in their contract in case the Englishman has any worries about his supposed lack of punch resistance. It certainly looks like the Kiwi fighter wants to do everything possible right now to make sure the fight goes ahead! Based on both fighter’s current forms, however, you would have to give the match to Anthony Joshua. Although he looked less than impressive against Takam in November, one has to keep in mind that the Cameroon boxer has a hard chin and good boxing ability who has fought some of the biggest names including Alexander Povetkin. And it was not as if Joshua was in any trouble in any part of the fight at all. He used his boxing skill to break him down for the stoppage. Might people have become a little too spoilt after the Watford man had been crushing everybody early doors? Anthony Joshua had to wait patiently to get the win over Carlos Takam in November. As for Parker’s claims that Joshua is worried about his chin, it might be more helpful if he focuses more on his proposed opponent’s questionable endurance. Against Wladimir Klitschko, Joshua was put on the floor only because his stamina levels reached a crucial point after trying desperately to stop the Ukrainian in the previous round. 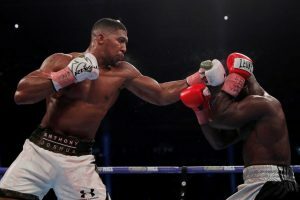 Joshua immediately got up and did not appear to be too hurt, managing to stop Klitschko in the eleventh round to wow Wembley Stadium. If Parker keeps this in mind then he can use his lateral movement to possibly try to wear Joshua down. 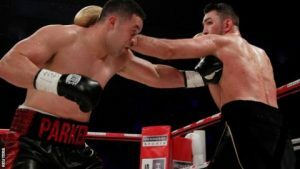 Hughie Fury proved that a good jab can keep Parker busy, and Joshua is pretty good with his. A high work rate has also proved to prevent him from setting off his own work. 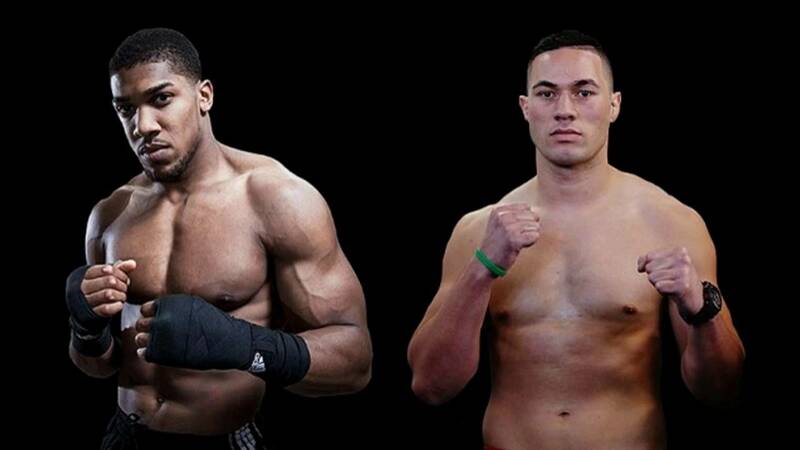 Might Joseph Parker be focusing on the wrong attributes of Anthony Joshua? But although Parker’s recent form has not exactly been brilliant, might a lack of motivation be a factor? Anthony Joshua is boxing’s biggest heavyweight name right now and he probably could not find anymore incentive! There have been times when boxers have pulled out a once in a career performance when they have really wanted the victory! From an early perspective, it would be sensible to bet on Joshua. But there are many factors that can cause an opinion to change when a fight is confirmed. Other factors become involved, too. 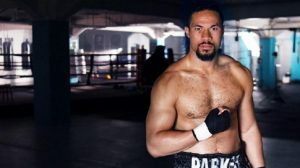 Still, you would be hard pressed to find somebody not from New Zealand who would pick Joseph Parker as the man that Anthony Joshua would pass the baton onto right now.